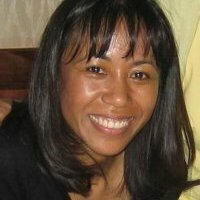 Dr. Florie Bugarin is an Assistant Professor in the Department of Sociology and Anthropology at Howard University and currently serves on the 2016 SHA Conference Organizing Committee. What’s the most interesting artifact you’ve ever found? At Fort Willshire in South Africa, I found over 100 cattle horn cores covered and intertwined with thousands of glass seed beads. Who influenced your decision to become an archaeologist? Jim Deetz. He was my undergraduate professor at U.C. Berkeley. He made archaeology sound fun and exciting, although he suggested that I become an ethnographer rather than an archaeologist. He said that the world needed better ethnographies that are related to archaeology. After my initial decision, Peter Schmidt and Kathy Deagan further influenced the kind of historical archaeologist that I have become. What is the first site you worked on? What is the last one (or current one)? The first site that I worked on was Flowerdew Hundred under Jim Deetz. I was an undergraduate student, and this was my first field school. I am currently working on collections from Nicodemus, Kansas and James Island, The Gambia, but the last site that I dug was the Best Farm Slave Village on the Monocacy National Battlefield in Maryland. I was working with Joy Beasley of the National Park Service and my colleague at Howard, Eleanor King. What did you want to be when you grew up? When I was very young, I wanted to be an actress, model, artist or dancer. When I first started college, I wanted to be a mathematician or a medical doctor. When I met Jim Deetz, I wanted to be an archaeologist. Why are you a member of SHA? I identify myself as a historical archaeologist. Also, when I first started, it seemed like an extended family. Many people knew each other, and I wanted to be a part of that. Now, it has grown so much. Although I see many new faces, I still think of the SHA as it was back then…like a family. At what point in your career did you first join SHA? My first year in graduate school. How many years have you been a member (approximately)? 1992-2014, approximately 20 years. There were a few years off and on when I wasn’t able to attend the meetings. Which benefit of belonging to SHA do you find the most beneficial? Reconnecting each year with people in my field of interest. It is also a quick way to keep up with the latest developments in historical archaeology, and a good way to generate new ideas.